Fantastic Beasts and Where to Find Them came out this weekend, so to commemorate the Harry Potter series, I thought I'd sort more characters into Hogwarts Houses. Last time, I sorted Kingdom Hearts characters and this time, I'll be sorting the Sailor Senshi from Sailor Moon. 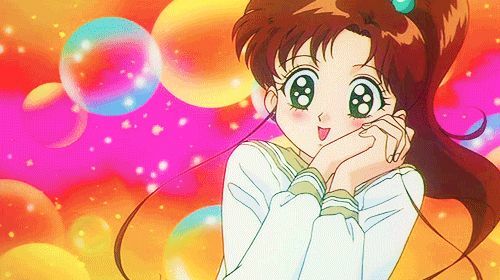 Hands down, Sailor Moon is a Hufflepuff. In fact, she shows most (if not all) of the Hufflepuff traits. She is the Sailor Soldier of LOVE, after all, and she proves that no matter what, she'll fight for her family, her friends, and even total strangers. She enjoys the company of others and hates to be alone. Out of all the ladies, she makes friends the easiest and was the one who brought all the Sailor Senshi together in the first place. 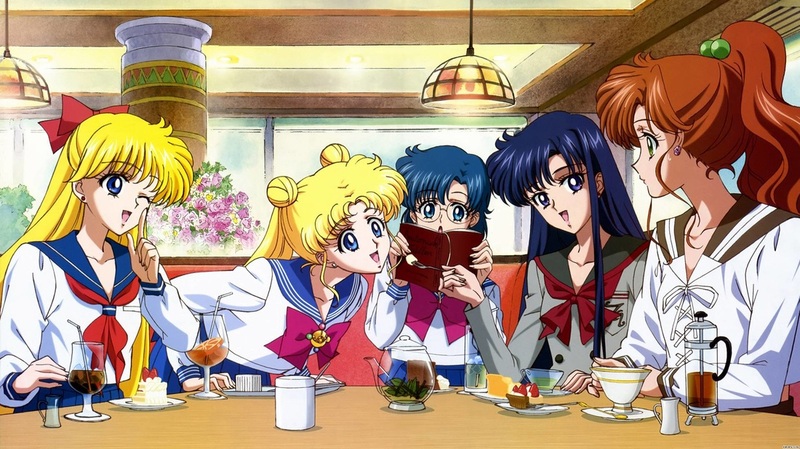 In fact, most of the girls were loners before they met Usagi. 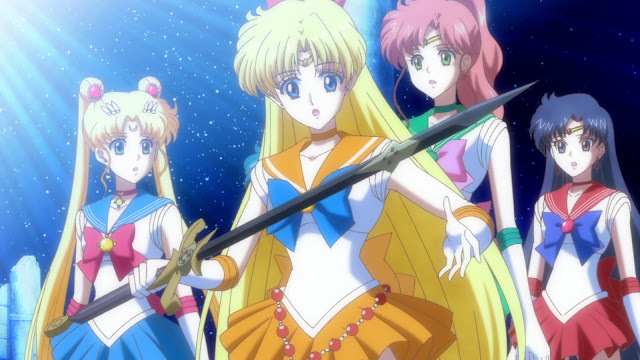 This was a huge deal when the Outer Senshi showed up. Sailor Moon was there to bring everyone together peacefully, which is what Hufflepuffs strive to do. Hufflepuffs are group-oriented, just like Moon. She is stronger because of the ones she loves. And just like Puffs, she also has a way with animals. (I mean, she has a talking cat for crying out loud.) Puffs also enjoy home and hearth and tend to be the ones who appreciate comfort food and togetherness (again, just like Moon). Though there was a part of me that wanted to say Sailor Moon was a Gryffindor, since she fights for love and justice, she isn't in it for the glory or the thrill of battle; she'd rather avoid fighting altogether. Most of the time she's a complete crybaby but overcomes her fears whenever the lives of her friends and family are threatened. She's even willing to sacrifice her own life for those she loves. Who could get more Hufflepuff? 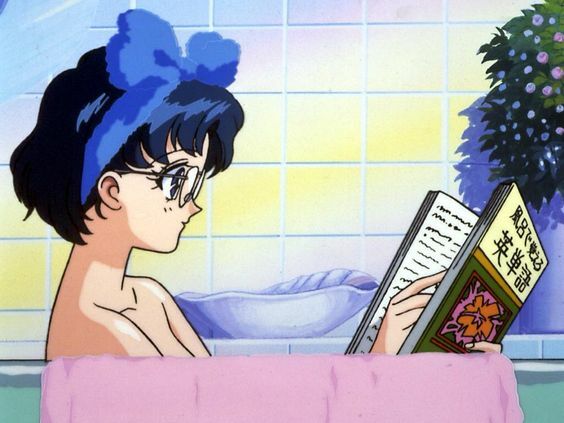 We all know Sailor Mercury would be a Ravenclaw, since she's a genius and the Sailor Scout of Intellect. Ravenclaws have an abundance of curiosity and love knowledge for it's own sake, not as a means to an end, which is more suited for Slytherins. 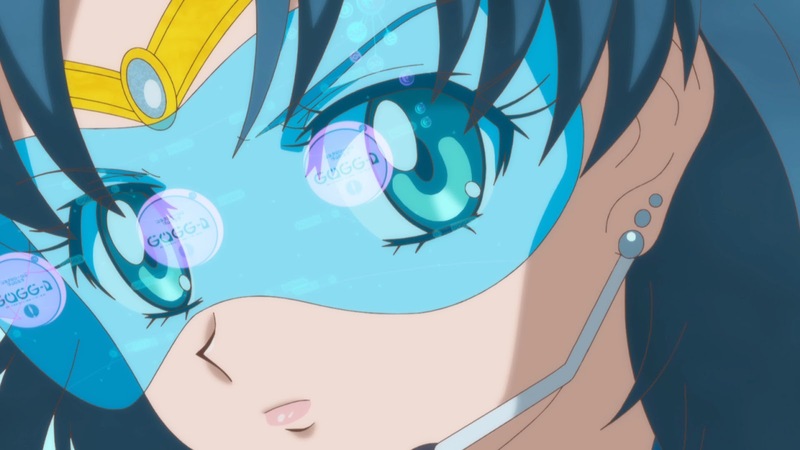 Ravenclaws also tend to look to the future, which shows in Sailor Mercury's pursuit of new technology. Ravenclaws are usually introverts, which means they’re okay with being by themselves, since their endless stream of thoughts occupy their time. Ami is much the same way. She's okay with being alone. Ravenclaws also enjoy studying, and if there is anyone in the group who actively wants to study (*ahem* really the ONLY one in the group), it would have to be Ami. She usually keeps everyone on task and is a teacher for most of the Senshi, especially Usagi and Minako. Lastly, Ami tends to shy away from fights when at all possible, which is so akin to Ravenclaws, who avoid confrontation at all costs. In fact, Ami is usually the pacifist of the group and is there to break up any squabbles among the girls. "Do your very best in school." At first, I wanted to put Sailor Mars in Gryffindor, since it's the house that aligns with the element of fire. Rei is much like a Gryffindor in that she is utterly passionate about whatever it is she’s doing, whether it is reading a fortune or fighting with Usagi. But once I thought about it, I couldn’t help but think she might be a Slytherin. A Slytherin (and Mars) also tends to be confrontational and (whether Mars likes it or not) can sometimes be hotheaded. But she is driven and confident in her own ways of doing things, which at times leaves her to be a bit narrow-minded; however, she doesn't let anything stop her in fulfilling her dreams, not even romance. Lastly, as a Slytherin, she is much more aloof when it comes to people outside her friends’ group, but she is intensively loyal and true to those she holds closest, willing to do what it takes to keep them safe. "Shadows in the fire of the sun... It's a bad omen..."
"Nothing good comes out of mimicking other people. What's important is being yourself." Even though Sailor Jupiter is courageous and rushes into things (as Gryffindors are apt to do), deep down she's a true Hufflepuff. She cares about her friends and their well being. If anything were to happen to them, she’d pummel whoever hurt them into cornmeal...and then bake her enemies into bread. Speaking of baking, Sailor Jupiter LOVES to cook, bake, grill, whatever. She makes bento boxes for all her friends and is even in charge of snacks during their study/senshi meetings. You see, Hufflepuffs are all about home life and caring for others (so is Makoto). In fact, Makoto's dream is to get married and own a bakery. Food and family seem to be key elements for Puffs, and Jupiter is no exception. She is also constantly searching for acceptance and love, and by the way she talks about past boyfriends, she tends to fall hard, putting her whole heart and soul into her relationships. Oh, Sailor Venus. You are totally a Gryffindor. Sailor Venus’ whole goal in life is to be famous, which screams Gryffindor (since most of them seek honor, glory, and validation from others). She is the Scout of Love and Beauty and this really plays a major part when it comes to pursuits outside of being a Sailor Soldier. Though she is a brilliant leader, that doesn't’ stop her from being impulsive at times, especially with boys! 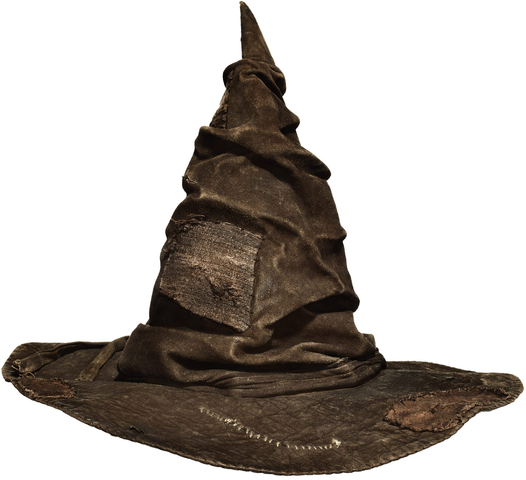 She’s very much the extrovert and thrives off the attention of others, which is true to the Gryffindor characteristics. Gryffs usually aren’t the ones seeking knowledge, however, they do find information useful when it can be used to aid friends or begin adventures. This sounds very much like Venus, since (like Moon) she tends to ward off studying and instead pursues other tasks like boys or sports. It should also be noted that just like Gryffindors, Venus enjoys the thrill and glory received from sports or entertaining. Do you agree with my sorting?